This wonderful shop has 30 spinners each containing hundreds of cards of every type, from humour to art, from pop-up pictures to handmade specials. These are backed-up with drawers of more traditional cards for special birthdays, anniversaries, christening, retirements, and special occasions. Coupled with the cards are extensive displays of gifts, toys, stationery, photo albums, and 66 different designs of wrapping paper. No wonder Classic Collections is an award-winning shop. 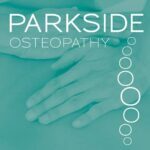 In 2011 it was judged the Best Independent Greeting Card Retailer in London and Dharmesh was invited to the award ceremony at the Dorchester Hotel to be presented with a trophy which now resides proudly in his shop window. This go-ahead trader has also successfully expanded his business. 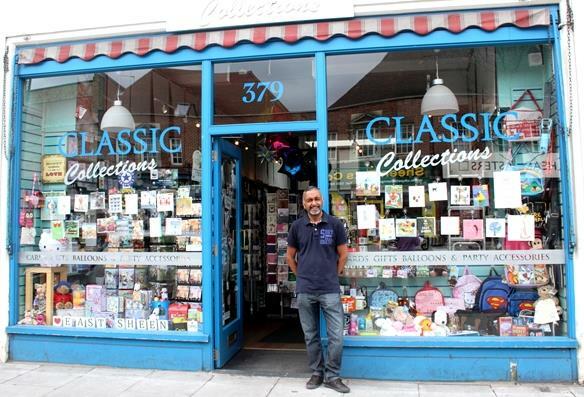 Five years ago he opened a second card and gift shop in Charing Cross Hospital and last year he created a website www.classiccollectionsgiftshop.co.uk which attracts orders from all over the country. His shop on the Upper Richmond Road, which he runs with friendly colleague Nasim, is always busy. Changing tastes has meant that humorous cards are now the big seller. Another popular seller is a range of cards for people who live locally in SW14. While at the top end, Dharmesh stocks exquisite handmade cards made by a British firm called Five Dollar Shake which cost £5 each but which are so attractive that they sell very well. Around the walls of the shop are thousands of small gifts which go well with cards if you are looking for a birthday or other special occasion present. The most popular seller in the past year is an Electronic Dictionary Bookmark retailing at £24.99. It won a Gift of the Year award and contains 38,000 words which can be looked up instantly at the press of a button while reading. “We’ve sold hundreds of them,” said Dharmesh. Also much in demand for local Dads is the £8 Man Tin, with the legend ‘Leads, screws, and other pointless stuff I must keep.’ For Mums with a sense of humour there is a £14.99 Recipe Card Tin with the words ‘Every Day I give my family two choices: Take it or Leave it’ on the cover. “If you are looking for something a bit unique, I’m sure you’ll find it here,” added Dharmesh.